The safety and health of all our employees is the most important value held by our company – no one gets hurt and everyone goes home safe. 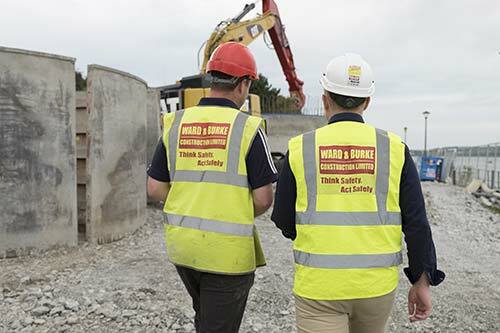 Our company safety message of “Think Safety – Act Safely” reinforces this ethos. All our employees are trained to plan their work in advance to ensure that any hazards are identified and the control measures in place to minimise potential risk. Our safety management system is accredited to OHSAS 18001:2007. This system is regularly reviewed and updated to reflect the changing nature of our work and the different geographical areas in which Ward & Burke operates.